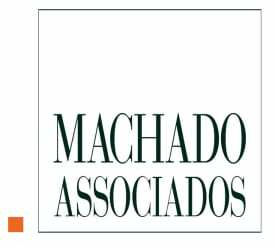 Founded as a tax boutique, Machado Associados celebrates its 27th year as a leading Brazilian law firm. With approximately 100 qualified and experienced professionals, the firm assists clients in all major areas of business law. Machado Associados has consistently grown by expanding its team and diversifying its practices to meet clients’ needs. This growth has always been based on the values set by the founding partner José Maurício Machado: a strong team, unconditional dedication to its clients, and high-quality services provided in a responsive and efficient manner. Machado Associados has an outstanding tax team, one of the largest in Brazil, with approximately 60 lawyers and trainees divided into direct taxes, indirect taxes, tax litigation, international taxation and transfer pricing. The firm is also recognised for its high-quality services in the corporate/M&A area, having very specialised, experienced and business-oriented partners and associates dedicated to assist its clients in a very close and efficient manner. Additionally, the firm also provides legal services in the main areas of business law, such as administrative, contracts, import and export, labour and employment taxes, oil and gas, and real estate. The different practice groups work in a coordinated and integrated fashion to cover all necessary perspectives of legal issues faced by clients. As a result of its intense dedication, Machado Associados and its professionals have been constantly appointed by international and domestic specialised publications as a leading firm in Brazil. Several of its partners have also been appointed among the most recognised lawyers in the country. Machado Associados’ professionals are firmly committed to providing top-quality advice and helping clients to achieve their goals on a pragmatic and cost-effective basis. Several lawyers have also graduated in accounting, business administration and economics, and have international academic and professional backgrounds, allowing for a complete understanding of all legal, financial and accounting aspects. The firm has many professionals that are law professors at the main law and business schools in São Paulo. Machado Associados advises and represents Brazilian and foreign companies of all sizes and industries. Among the international clients of the firm, Ambev, Breitling, C&A, Colgate Palmolive, Coty, Delphi, Dell, Diageo, Enercon, Ericsson, Fedex, FNAC, Fresenius, Johnson & Johnson, Marubeni, Mastercard, Penske, Philips, Pirelli, Sanofi, SC Johnson and Wintershall may be highlighted. The firm assists its clients in numerous cross-border transactions and inbound and outbound investments and has helped leading Brazilian companies such as Alpargatas, Coimex, CCR, Exceda, Natura, Santista, Vicunha and UOL to expand their activities in Latin America, North America, Europe and Africa. Machado Associados has also assisted leading global law firms in setting up their operations in Brazil and in several other legal matters. The firm has a notable pro bono practice, and has constantly provided legal assistance to not-for-profit organisations. Machado Associados’ head office is in São Paulo, with strategic offices in Brasília and Rio de Janeiro. In order to better assist its clients in their projects and investments abroad and to assist foreign companies to settle and develop business in Brazil, Machado Associados has a solid relationship with the most respected law firms in all continents. Moreover, Machado Associados is a founding member of the Latin American Tax and Legal Network – Lataxnet (www.lataxnet.net) – an alliance composed of first tier firms in 18 countries in Latin America, and is also the only partner firm in Brazil allied to the international network WTS (www.wts.com). Focused on the tax area, WTS Alliance is renowned as one of the global leaders in this field and is represented in more than 100 countries.